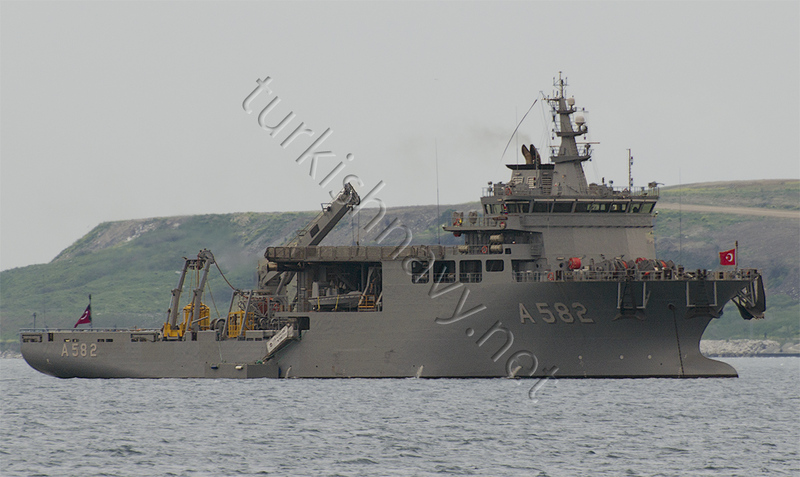 A-589 TCG Işın one of the salvage vessels of Turkish Navy has been very busy since 16th January 2012. On 16th January one T-37 training plane from Turkish Air Force crashed off Foça, İzmir during a routine training flight. 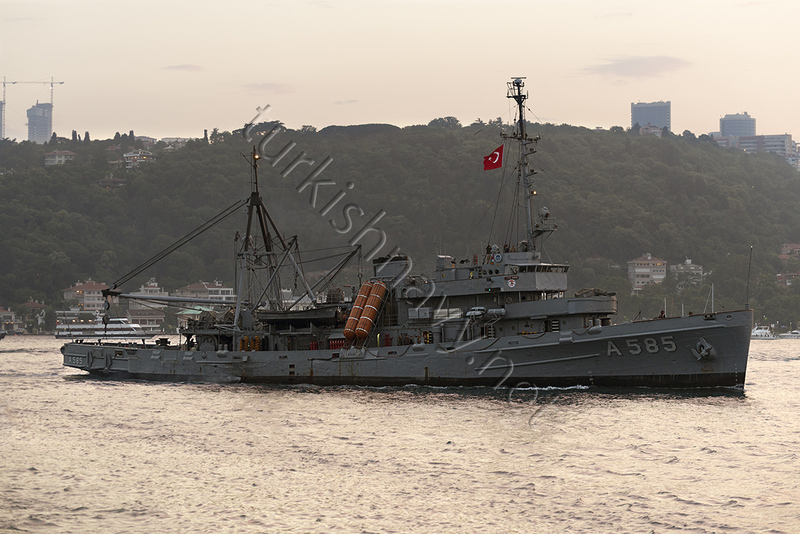 A-589 TCG Işın was of the ships that was dispatched to find the wreck of the planer and to recover the bodies of the pilots. On 31th January a Cambodian flagged merchant ship M/V Vera sunk off the coast of Ereğli, Zonguldak after taking water during a powerful snow storm. 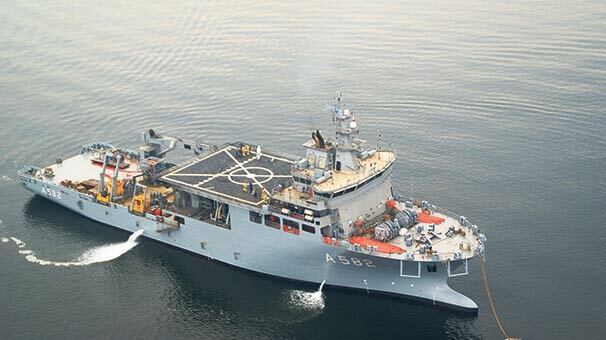 TCG Işın is at the scene of the incident and is searching for the bodies of the missing 8 sailors. 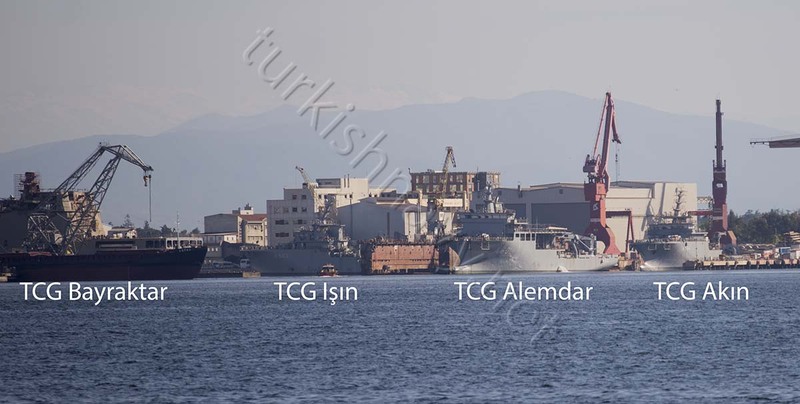 TCG Işın started her life as ARS-25 USS Safeguard. She was laid down on 5 June 1943 by the Basalt Rock Company in Napa, California; launched on 20 November 1943; and commissioned on 30 September 1944 at the Southern Pacific Docks,Vallejo, California. In US Navy service she took part in 2. World War, Korean War and Vietnam War. She was decommissioned from US Navy and struck from the Naval Vessel Register, 6 August 1987. 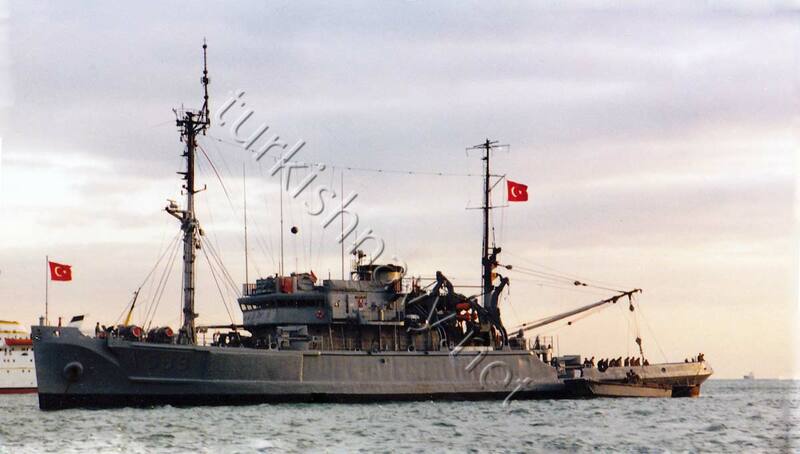 She was transferred under the Security Assistance Program, to Turkey, 18 August 1987. Although the article in Wikipedia claims her fate is unkonwn, I can tell she is well and still working hard. 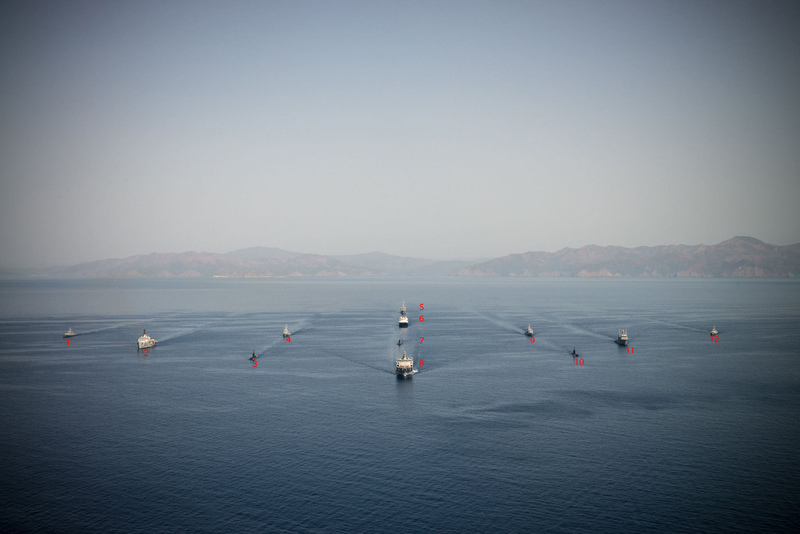 She can tow large ships and refloat stranded ships. with the equipment on board she can support assisted dives up to 190 feet. 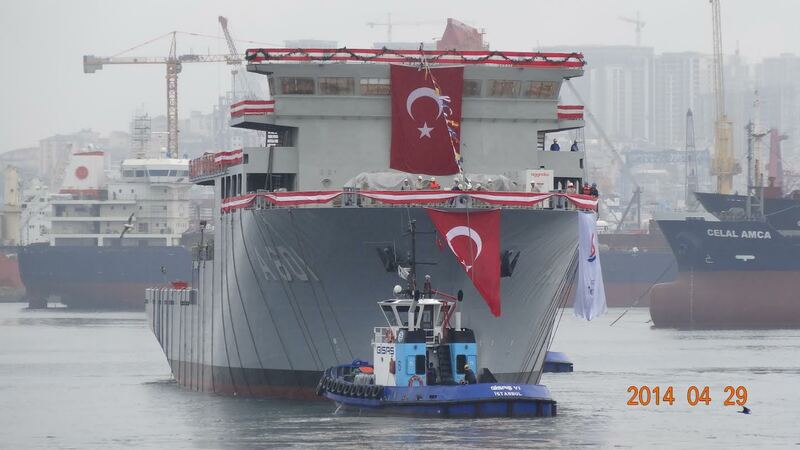 She will be replaced as the new Moship and Ratships ordered by the Turkish Navy from Istanbul Shipyards will enter service in a couple of years.